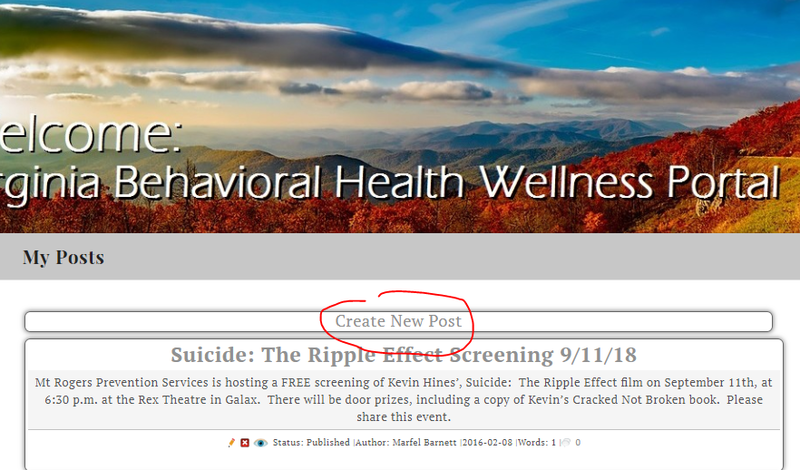 How to add a post to the portal – Virginia Prevention Works! It will then bring you to a page like below, click on the “Create new post” link. 2. It will then bring you to a page like below, click on the “Create new post” link. 3. 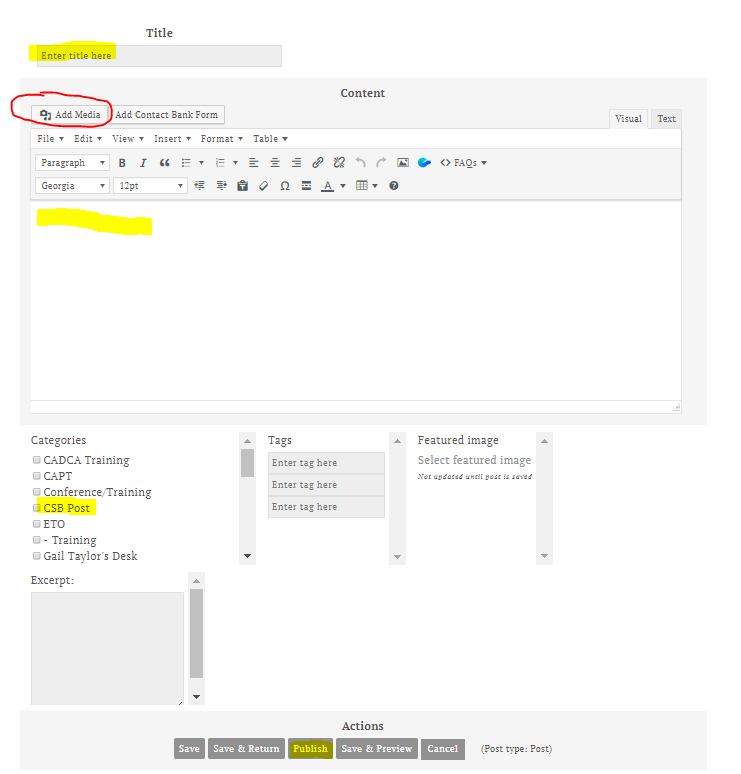 Fill out the areas in yellow and then click the publish button at the bottom of the page to publish to the portal. If your file is in word, pdf, picture formats, you will need to click the “Add media” button circled below. After you select your file to add to the post, please give it a few minutes to upload, it may take a little longer to load depending on your internet connection.